Seems like ages ago, but it was only back in June when we opened a new fulfillment center in Riga, Latvia. Expanding is always exciting, but this time even more so, since with the opening of a location in Europe, we’re also giving our customers access to a whole new market. We know from experience that breaking into a new market can seem like a daunting task. And launching in Europe has its particular challenges – after all, it’s a part of the world where 742 million people speak 24 different languages. But, as DHL informs, cross-border ecommerce has the fastest growth opportunities in retail with an estimated 1 trillion US dollars in sales by 2021. So the challenges of getting started in Europe are well worth overcoming. It looks like this might just be the best time to tackle Europe – every year, population numbers increase in most European countries, and unemployment decreases. With inflation rates also going down, more and more people are able and willing to spend their money, even when it comes to non-necessities. Of course, clothes, electronics and other goods most often bought online are still available in brick and mortar stores, but the internet penetration rates in Europe are getting better each year. In 2016, 81% of the population in Europe used the internet on a daily basis, and this undoubtedly means good news for all retailers with an online presence. While the exact number of 2017 ecommerce sales in Europe aren’t published yet, it’s clear that the constant development and growth of this sector has brought in a lot of money this year. The final number is expected to be close to 603 billion euros. In comparison, US ecommerce is estimated to be worth 452.76 billion US dollars. Besides, Europe is aware of the difficulties that come with cross-border ecommerce, so plans to make the process easier and more accessible are already in place, at least in the European Union. The EU, which currently comprises 28 countries, has been actively working on a Digital Single Market to make access to online products and services easier for everyone. It’s clear that ecommerce in Europe is full of opportunities for active retailers who thrive on new challenges. But where to start? Despite being one of the smallest continents on the Earth (it covers about 4,000,000 square miles), Europe is also one of the most populated. But the population has split up into 50 different countries, and each country has its own culture, people and ecommerce market. In 2016, the biggest ecommerce markets in Europe were the United Kingdom, Germany and France, a trio that hasn’t changed for quite some time, according to the Ecommerce Foundation. 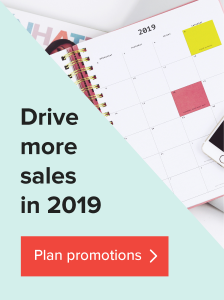 Depending on your business strategy and expansion plans, a big, established ecommerce market might just be the way to go. So let’s look at the top 3 online sales countries. The United Kingdom proves once again that size doesn’t always matter when it comes to ecommerce. The relatively small territory – size-wise it’s no bigger than the state of Oregon – is actually a huge player in the game. After all, it has a population of more than 66 million people, 93% of whom use the internet in their everyday lives. In 2016, the UK was the third-largest ecommerce market in the world, bringing in 192 billion US dollars. To put it in perspective – approximately 87% of the people in the UK ordered at least one product over the internet. While most UK consumers still prefer to shop at national online retailers, this trend is bound to change thanks to globalization. People are getting more interested to use sellers from the rest of world, since it means a larger product variety and more unique items. And it’s easier for international retailers to offer their products to British customers because English is the official language in the UK, so there’s no language barrier. Of course, the effect of the elephant in the room – Brexit – is as of yet unknown. The scenarios for when the UK leaves the European Union are many. While other European countries are expected to grow their ecommerce income, it looks like the UK is going to suffer some sort of hit, at least initially. But with so many variables, it’s difficult to predict Brexit’s full effect. Thanks to its strong economy, people in Germany can and do spend a lot of money, so it’s a good place to continue your ecommerce development. Germany is actually the second biggest ecommerce market in Europe. This year ecommerce sales are expected to pass 65 billion US dollars with 87% of the population making online purchases. And what is it that people are spending their hard-earned money on? Well, for the most part it’s apparel, though books and home electronics aren’t far behind. Of course, adapting to the market is very important, so you should definitely pay attention to local peculiarities that concern each country. According to research, Germans spend more time browsing and reading before making a purchase online, so you should provide them with detailed information about the products you offer. The obvious problem with tackling the German ecommerce market is localizing your store, since it’s much easier to find traction in a new market if you use the local language. Luckily, there are ecommerce solutions that can help. The ecommerce industry in France is also on the rise, and online shopping is expected to increase by 13.47% this year. More than one billion transactions were made in 2016 (that’s 33 transactions per second), so you don’t have to look far to see why France is such an attractive market. And this year ecommerce sales from France are expected bring in 60.25 billion US dollars. Moreover, people are getting more open to cross-border shopping, and in 2016 30% of online shoppers made at least one purchase from a store not based in France, and the most popular countries were the United Kingdom, Germany, and the USA. The same as in Germany, language matters in France as well. A simple “bonjour” at the top of the page won’t work here, especially because the competition in France can be quite fierce with over 200,000 online stores competing for new customers. Moreover, the French are very keen on doing their research with nearly 40% of the shoppers looking at reviews before making a purchase. So you should definitely put some work into getting your most satisfied customers to put their positive experiences in words. Interestingly, while it might seem that discounts are the way to conquer a new market, you have to be careful with lowering your prices in the French market. Sales dates are regulated by the French government and apply to online stores as well. While the UK, Germany and France are the strongest markets in Europe, you shouldn’t underestimate those markets that are still finding their footing. The future of European ecommerce looks nothing short of exciting. 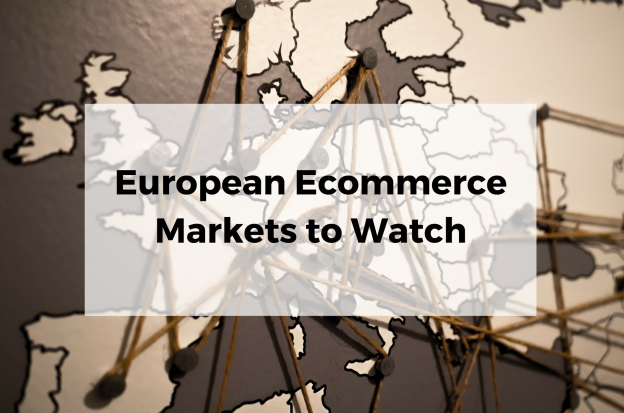 The growth of ecommerce in Europe is expected to reach 14% this year over last year, thanks to the rapidly increasing sales in Central and Eastern European markets. Of course, there are certain risks associated with emerging markets, since they are less stable and may come with some surprises, such as fluctuations in foreign exchange rates or sudden political upheavals that influence sellers. But there are also benefits – emerging markets mean less competition and more opportunities for growth. So let’s look at top 3 growing ecommerce markets in Europe. Although this Scandinavian country is often overlooked in favor of its bigger neighbors, there’s really no reason for this – Denmark highly depends on foreign trade and is also a strong supporter of trade liberalization. In 2017, ecommerce sales are expected to increase to 15.09 billion US dollars, but this number is sure to grow in the future. The efforts by the Danish government to digitize all their services have resulted in Denmark being one of the leading countries in the world when it comes to digital development. Another plus for Denmark is the fact that the Danish people usually stick to what they buy – the return rate is very low. At the same time, in order to sell in Denmark, you’re gonna have to put in some work because the Danish aren’t too keen on advertising. But reasonable pricing can be your savior – a lot of Danes use price comparison websites. All in all, Denmark is shaping up to be one of the best environments for online sellers thanks to the efforts of their government, as well as the high income rate. It’s important to note that Denmark is a European Union member state, so the plans in place to make EU a unified market apply here, as well as the next market I’m going to talk about. 2017 has been a good year for this Northern European country with ecommerce sales expected to reach 16.4 billion US dollars. The numbers are only going to get bigger in the future, since already 97% of the population already has steady access to the internet. Norway is the cross-border shopping champion of Europe with 1.7 million Norwegians making purchases from foreign sellers. What’s more, the most popular sources aren’t the neighboring countries, but the USA and the United Kingdom. There isn’t a single reason why people in Norway do cross-border shopping, but the one incentive that seems to work best is lower prices. Everyone loves a good bargain, and that’s also the way to Norwegian hearts. Over the past 25 years, Poland has doubled its economy. It’s actually expanding so quickly that 2017 might be the last year this country is considered an emerging market. 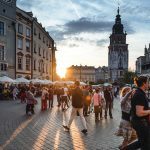 Ecommerce in Poland is expected to reach 17 billion US dollars in 2020, but this year’s income is estimated to fall close to the 11 billion mark. Remember one of the benefits of new markets? It has less competition, and Poland is a great example of this. While there are more than 120,000 ecommerce shops in France, Poland only has 15,000. Consider this an opportunity to get in on the ground floor. The good news is that Poland wants you, too! Poland is a member of an the Visegrad group – an alliance of four Central European countries (the Czech Republic, Hungary, Poland and Slovakia) working together to create modern, stable economies. 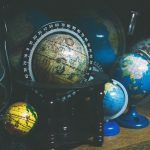 Bringing in Western companies is one way to do this because international retailers offer products and experiences that offer an alternative to the local products. So, there are ways to get ahead of the game. For example, one of the most often heard customer complaints in Poland is about the slow service. 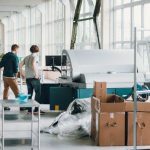 And this is where Printful can lend a hand – with our fulfillment center being close to Poland, and the option to have all Europe orders routed through there, you can excel by being more efficient than the competition. Ecommerce isn’t a one-size-fits-all situation. While Denmark, Poland and Norway might be the best choice for some online stories, there are 47 more countries to look into if you feel these don’t feel right for you. The main thing is to do a little research. Sometimes the most difficult step of expanding in a new market is not knowing which step to take first. 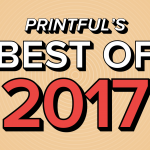 But businesses have done this before, Printful included, and there’s some wisdom to share. We know that expanding your business is no small feat, but anything can be done with the right attitude. Start with what you know, and what you know is Printful. Take a look at products we offer in Europe, check out information on Value Added Tax, see the shipping information. Then move on to the next part – research! Customer trends, local peculiarities, store translation options can all come in handy at one point or another. And when you’re ready to launch, we have the fulfillment part covered. With one of our centers based in the EU, there’s a whole team of people ready for the orders to roll in and go out to your new customers. So, those of you looking to expand – see you on the European side of the pond! Don’t feel ready to target Europe just yet? Make your current store a success with the help of our free ebook! Ilze is on the lookout for the little things that make all the difference, be it a new ecommerce trend to help your store, or the right book to read on a Saturday morning.